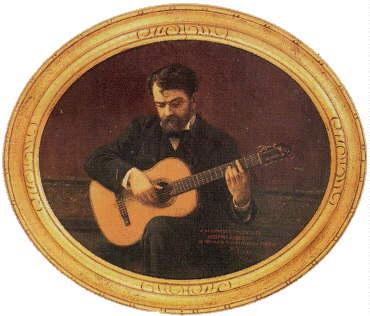 Francisco Tárrega left us a collection of delightful tunes such as Adelita. This tune is a mazurka which originated in Poland as a dance. Take care to highlight the melody in bar 13, the melody has switched in this bar from the 1st to the 2nd voice. There is a transposition at the beginning of the B section from the key of E minor to the key of E major, at the end of this section it returns to E major.